Commonly our clients seek to tailor the external architectural appearance of the Exeloo toilets to suit specific site requirements. The Exeloo lends itself to this process very well because the internals of the toilet can be manufactured separately to the building in which it is to be located giving total flexibility in external appearance whilst retaining the high quality internal finish, features and benefits. 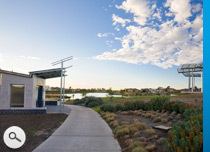 As an example, the City of Brimbank had undertaken a significant landscaping project at its Cairnlea Reserve using the services of a noted architectural firm, Hassell. 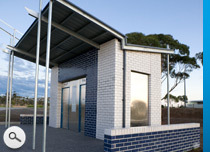 Council approached WC Innovations to provide a double cubicle automated public toilet for this site whose architectural appearance blended in with the existing park furniture designed by Hassell. 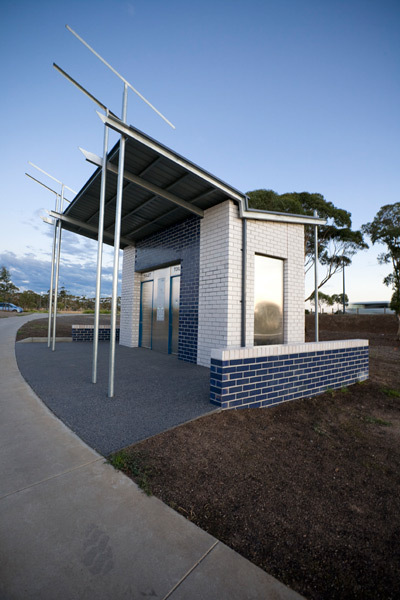 Using the services of Di Mase Architects, WC Innovations' architectural partner, a design was developed featuring glazed bricks and a roof line that reflected the nearby BBQ shelters. The automated toilet and roof was pre-fabricated off site and the external facade, including the brickwork, was constructed on-site according to the design by Di Mase Architects. 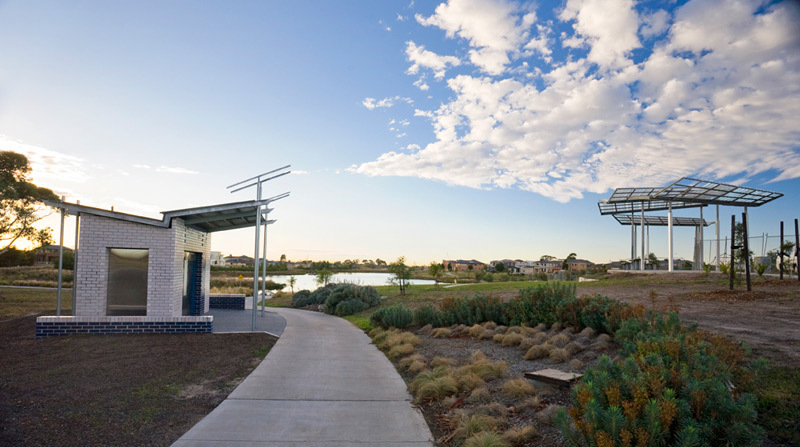 The result is a design perfectly blended into the surrounding architecture and environment yet still retaining the quality, features and benefits of a prefabricated automated public toilet.